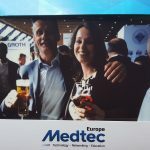 We are looking back at a great week in Stuttgart where we had the pleasure to meet many new/ potential customers, current clients, colleagues & friends from the industry. We thank you all for your interest, for sharing your great ideas and for all the good discussions! 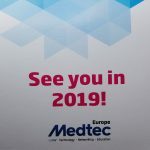 We hope to see you again at Medical Technology Ireland (Sept. 27-28), Compamed (Nov. 12-15) or at the new Medtec show which will be combined with MT-Connect and held in Nürnberg next year. If you are waiting to hear back from us: We have started follow-up activities right after the show and you will be hearing from us soon. Also, please do not hesitate to contact us if you have an urgent requirement!